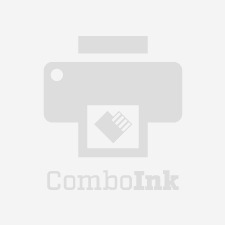 ComboInk Lexmark #4 / 18C1974 (Compatible) Black Ink Cartridge will replace your original equipment manufacturer (OEM) cartridges for a fraction of the cost. Our remanufactured printer cartridges are professionally engineered to meet the highest quality and performance standard (ISO-9001). We also inspect our ink cartridges to be leak-free and have no print head nozzle clogging prior to stocking. Using our reliable, discount Lexmark #4 / 18C1974 (Compatible) Black Ink Cartridge, you'll get vibrant, high-quality results from your printer. Plus you can shop with confidence knowing that ComboInk inkjet cartridges are backed with a one-year 100% satisfaction guarantee.
" I save my bank account AGAIN "
1: i use this for work, personal and fun for me and my wife work ( Doucoment for my wife work and painting for my work) pictures and more.. 2: Clear colors great instalation instructions, very professional packging with static bag & protactive hard vinyl on the ink head. 3.Althugh i must say YOU DO ALERT ABOUT LAW INK INDICATOR ON THE PRINTER & haw to solve or bypass it its steel give the scare that its empty after printing the second page .... BUT After working with your ink for the last several years i learn to ignore it ( lol must admit it even look more ink then the original , allthugh i am using fast druft to save on ink) but its just nunsens that worth the price ... For the record when i did had Problem with the ink instalation or paint level even after 7 months? of trying ( i know i am stubern !! :) YOU HAD REPLACED IT WITH NO Charge WHAT SO EVER NOT EVEN SHIPPING ! !.FOR THIS I AM YOUR LOYEL COUSTOMER FOR LIFE !!! THANK YOU!!! I will be ordering again. great product and the price is so right.